The Random Acts of Kindness Foundation has a number of ideas on how you can spread kindness today. Look at the graphic below for their ideas and perhaps you’d like to #ShareAMonster. 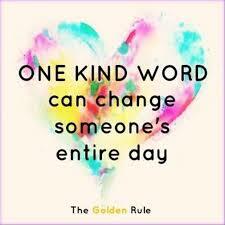 However, kindness is not a one day affair. It must become a way of life. I reviewed a book called ‘One Good Deed‘ a couple of years ago that suggested you could do one good deed a day and gave several ideas about what those deeds might be.